GBM needs your help through volunteer service, community engagement, and membership. 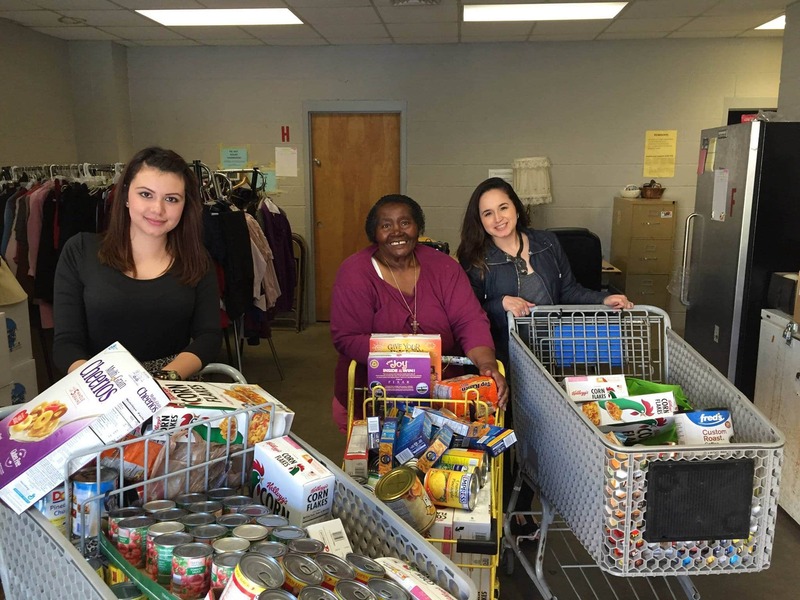 GBM provides services to those in need. You can volunteer to help us distribute clothing and food weekly, as well as help with other donation drives and events. Contact us or come on by; we can always find a need to be filled. GBM works to change the conditions that cause our neighbors to suffer. We work on issues that are identified by the people we serve. We welcome volunteer involvement in our work on Minimum Wage Increase, Predatory Lending, Ban the Box, Immigration, Health Care, Wage Theft, Criminal Justice Reform and other pressing community issues. You can become a member by donating to GBM. Your membership allows us to continue fighting by direct action and reform, as well providing relief to community members in need. GBM staff are always available to speak at classes, mission fairs, congregational gatherings – whenever we have the opportunity to share on a variety of mission topics, from general presentations about GBM to presentations on issues related to poverty, immigration, transit, wage theft, constitutional reform, health care and other issues affecting the poor in our city and state. 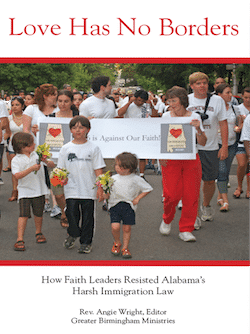 GBM has produced a book called Love Has No Borders: How Faith Leaders Resisted Alabama’s Harsh Immigration Law. We offer a study guide for congregations. This study is very relevant to current debates about immigration policies and to people of faith called to take a stand on any public issue.